Storing fishing tackle is one of the pains in acquiring a lot of fishing lures over years and decades. Getting everything you need or want to play with to various fishing waters is one thing. But keeping it all organized and protected so it will last is just as important. I hate buying tackle and having it go bad, get rusted, melted, faded or otherwise altered. 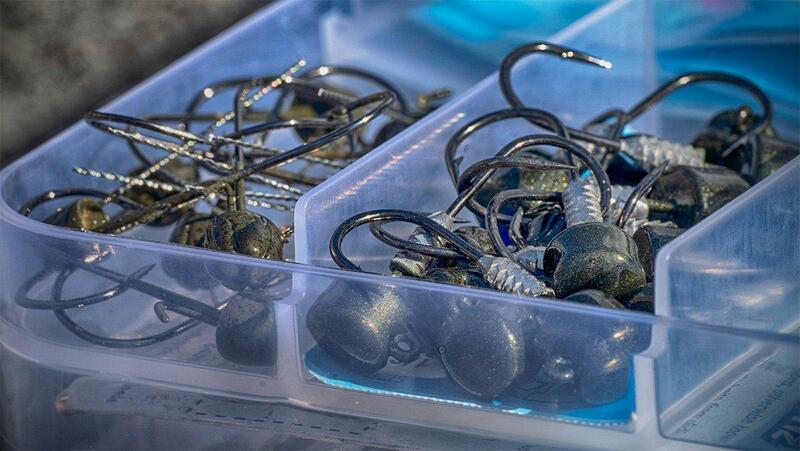 One of the boxes I've used this year that I liked has been the new Plano 3600 Worm Stowaway. 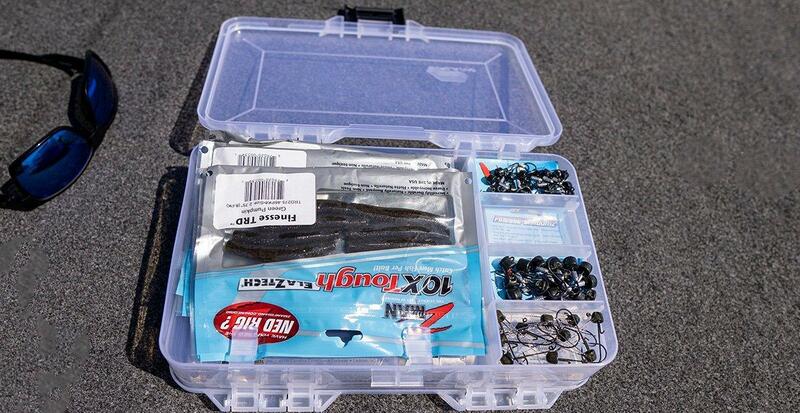 It's a hybrid box meant to store packs of soft plastics, as well as the terminal tackle you might need to fish those plastics. It's made with options on either side that hold several bags in place with a two tier clip system on each side. 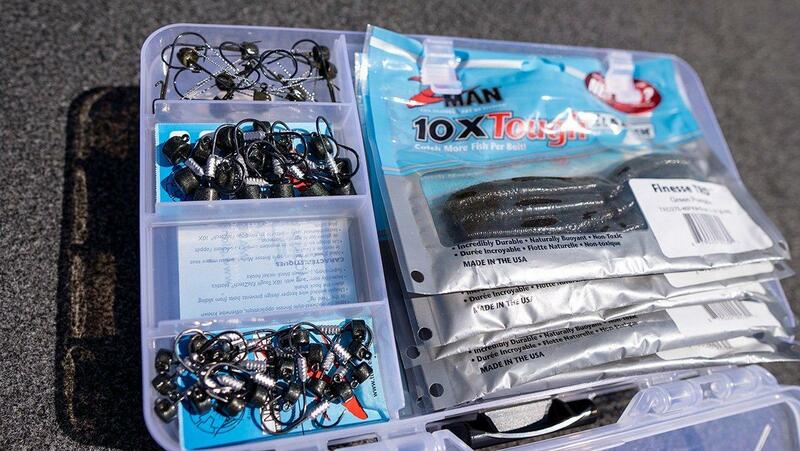 Then one side has compartments for open hooks, weights or jigheads while the other side offers one compartment for packages of terminal tackle. The clip system allows you to thumb through your bags of soft plastics quickly to find the right color, size or style quickly and grab the hook, weight or jighead you want to fish it on. I think these are great boxes for guys that like to carry a drop shot box, a ned rig box, or a Neko rig box that has everything you need for each technique in one easy to carry box. 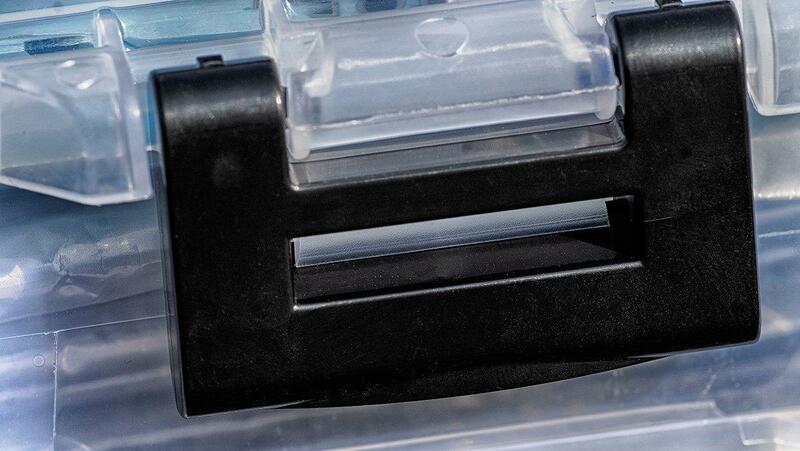 Each side has one heavy duty latch in the middle that holds the lid closed. It's a solid latch and holds the box together well. I don't advise over filling it as with just one latch in the middle the edges will bulge out a bit. But you can store more than the recommended bags depending on what plastics you put in there. 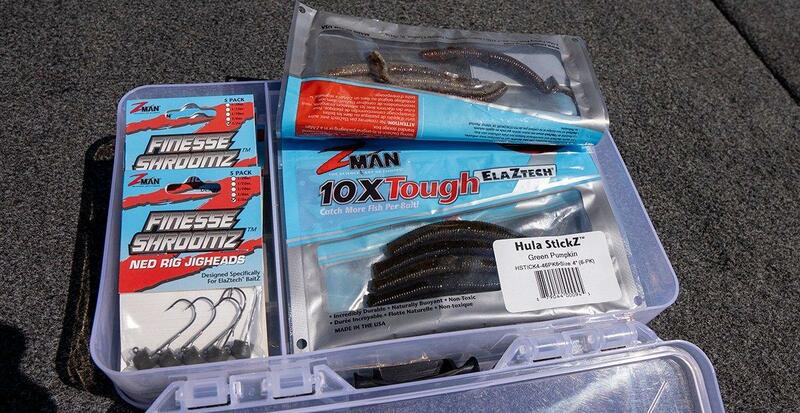 If you have bags of big worms or creature baits, you might not be able to get as many bags in each compartment. But with something like straight tail drop shot worms or something like the Z-Man TRD, you can get a bunch of bags in each side. My Ned Rig box is setup using the Plano 3600 Worm Stowaway. 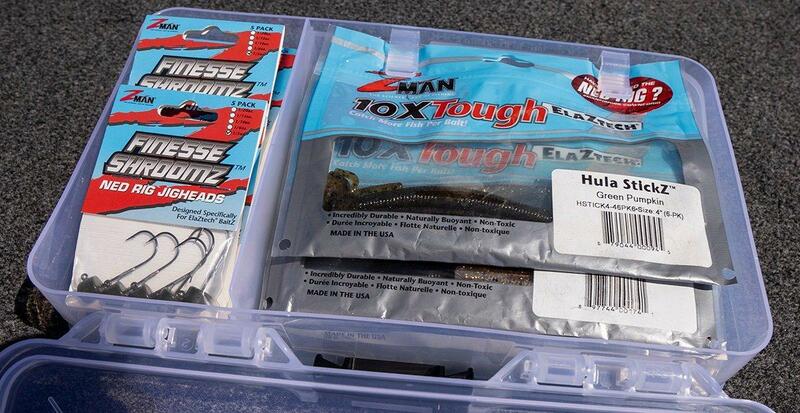 I have 6-8 bags of various Z-Man TRD, Finesse TRD and Hula TRD plastics on each side of the box. Then I have 50 opened Ned heads on one side in the slotted compartments in various sizes and styles and another 8 packs of unopened heads on the other side in the bulk compartment. 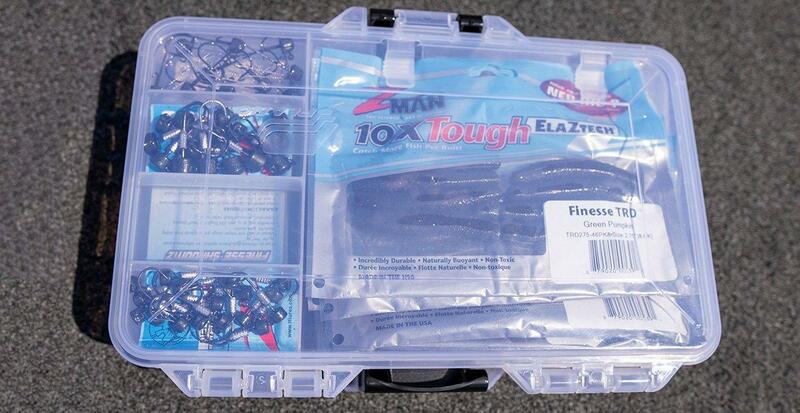 It's the perfect box for storing all my Z-Man finesse plastics as they don't often play nice with other plastics or in open tackle box trays because of the material of which they are made. Everything is easy to see and get to and everything stays in place without stuff jumping from tray to tray or getting folded and torqued. The clips at the top and middle of the box hold the plastics bags in place and you can thumb through them much like a rolodex to find what you're looking for. I put several packs under each set of clips and they stay in place well. I like that you can sort every thing by size, color or style. However you choose, everything is at a second's grasp. You can thumb down to the third pack, slip it out grab a plastic and slide it back under the other bags and close it back up easily without fighting to get everything back in place. The Plano 3600 Worm Stowaway is a little taller than the standard Plano 3600 Stowaway. But it is the same length and width. Roughly speaking, two of these boxes is about the same height as 3 of the standard 3600 Stowaway boxes. 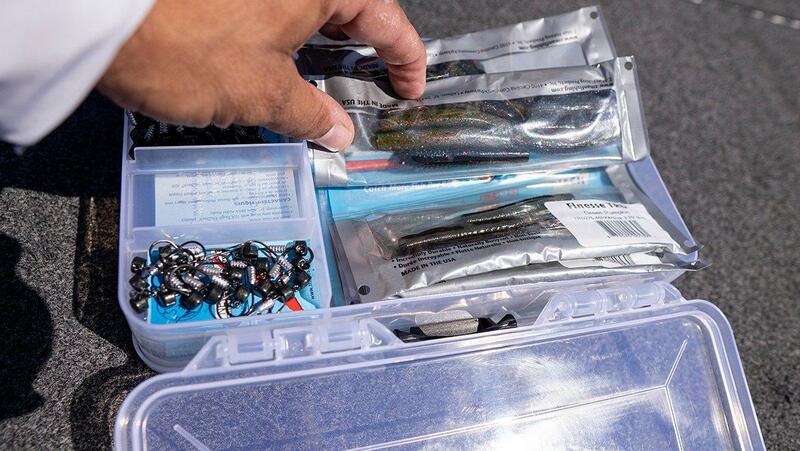 But considering you don't have a box for jigheads and a box for your Ned Plastics, you might actually save some space in the tackle bag or boat. 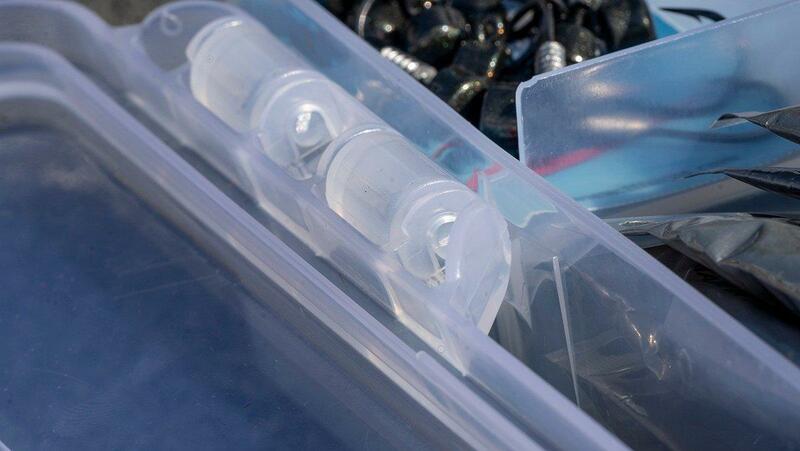 If you're looking for a tackle box for specific techniques with soft plastics, I think you will like the Plano 3600 Worm Stowaway boxes. I love mine for a Ned rig box and I think others will as well. You can find these tackle boxes online at TackleWarehouse.com as well as Planomolding.com and many retailers locally that carry Plano Stowaway boxes.